The Town of Belleair, Florida is a municipality located in Pinellas County on Florida's west coast, bordered on the north by the City of Clearwater, on the east, by the City of Largo, on the south, by the city of Belleair Bluffs, and on its west, by Clearwater Harbor and barrier islands that contain some of the best beaches in the state. The town government is a council-manager form of government, consisting of a town council of five elected officials, one of whom serves as mayor, and an appointed manager. The council and mayor serve as the legislative or policy making body for the town government, approve its annual budget, and all the local laws and ordinances that define how the town operates. The day-to-day administration of the town is the responsibility of the town manager and his/her staff, who implement town policies and deliver services to the residents. 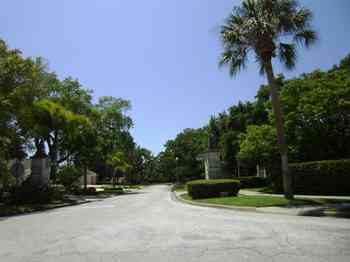 The Town of Belleair is a residential community of approximately 4,100 people, containing the historic Belleview Biltmore hotel, three eighteen hole golf courses, and several commercial businesses and professional offices. The purpose of this web site is to provide our residents and other site visitors from around the country and world with information about our community and its government, and to facilitate the delivery of the various public services offered by the town.